Last week I shared with you how some fabulous ways to earn money for your school with Box Tops for Education™. 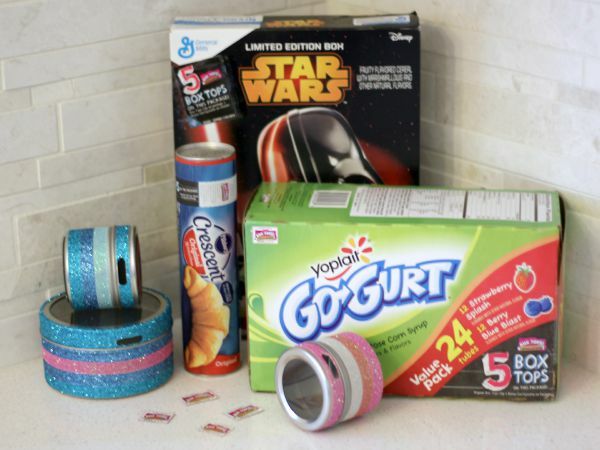 Right now you can earn 5 Bonus Box Tops when you buy specially marked products at Walmart stores. 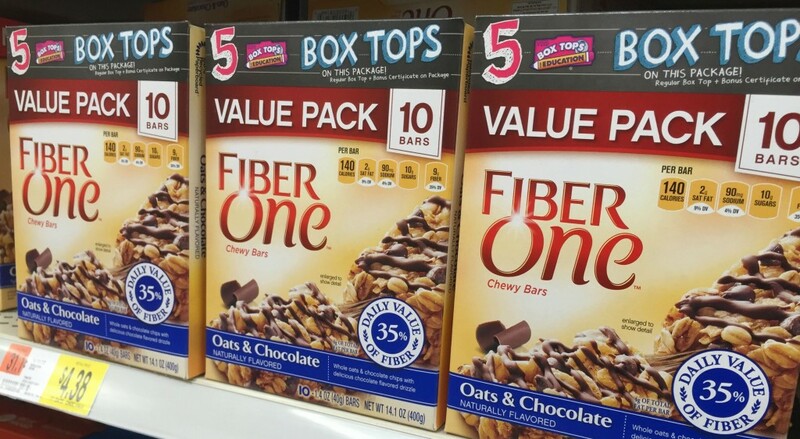 Some of your favorite brands are participating in the Bonus Box Tops offer like Fiber One Granola Bars, Pillsbury™ Cinnamon Rolls, Yopliat® Yogurt, Old El Paso™ products and more. It’s easy to wrack up a huge supply of Box Tops which means money for your school. But the big question in our house is how in the world to keep up with those little bitty things without losing them. Then I saw this idea on Pinterest and thought it was genius! I couldn’t find the original creator so I decided to craft my own and give you the tutorial because it really couldn’t be easier. Grab a magnetic spice container. I got mine at World Market. In addition to the silver ones, they also had a few other colors.You have to buy them in a set online but in store they have them individually. They are just $1.99 for the little ones and $2.99 for the big ones. I thought the big ones would be a perfect for teachers. 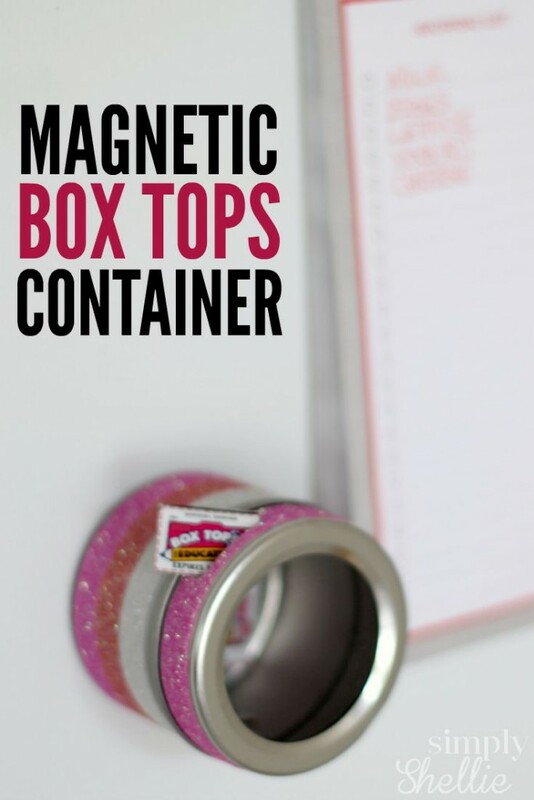 You could decorate one for your kids teachers and they can stick it on their filing cabinet, black board or other magnetic space in the classroom. 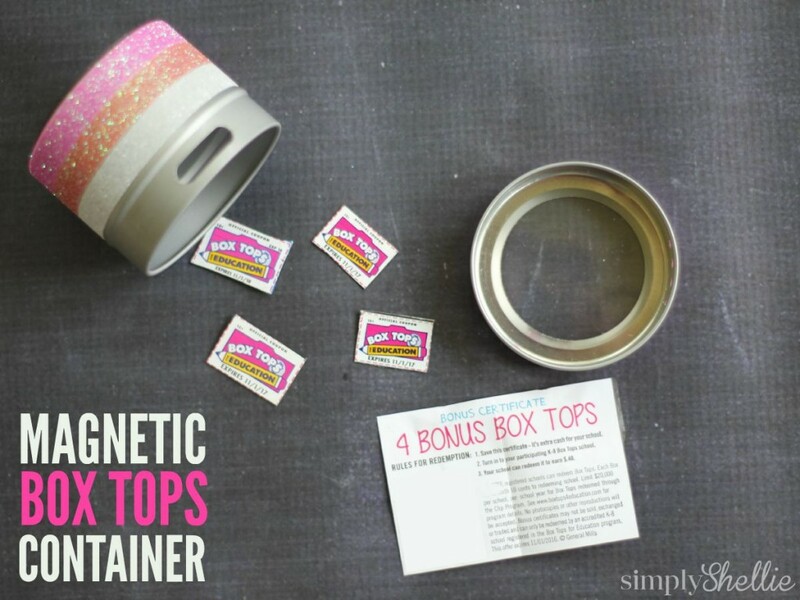 The wide hole on the magnetic spice jar is the perfect size for the little Box Tops. They fit inside perfectly and you can fit quite a few of them inside. This is our very first year at a school that is partnered with Box Tops for Education™ so I don’t have a huge collection yet but I’ll get there soon! 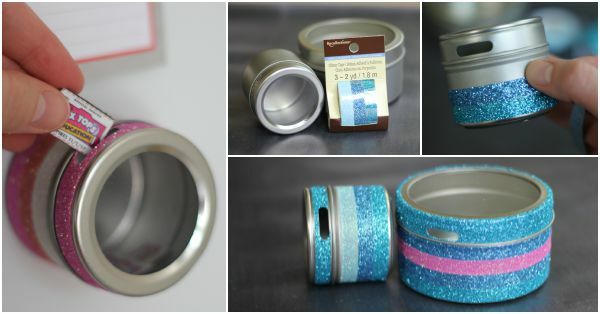 You can use Washi tape to quickly and easily decorate your container. I grabbed mine at Michael’s with a coupon. They have a huge selection but I loved the glittery tape because it really helps the container stand out. Maybe I’ll see it and remember to clip my Box Tops! Carefully wrap the Washi tape around the container and leave room over the wide opening for the Box Tops. Then stuff your Box Tops inside and use the clear section on the front to see how fast you can fill up your container! I saw some of these little magnetic containers in the school section at Dollar Tree. I haven’t gone back to pick some up so I don’t know if they have the little opening for the box tops but I’m sure my husband can figure something out if they don’t. Thanks so much for this great idea!